All right everybody, welcome to our Daily Huddle episode 6. Before we actually get into this, first of all, let me play you a quick video of an introduction that we actually made just for our daily huddle. All right we are back, now I want to figure out if that actually went live or not and I would have to be honest with you I don’t know it if you guys actually saw that amazing introduction that my team actually put together for our daily huddle. Here’s the thing, it is a public holiday in Canada today but I still manage to actually come back to the office just to make sure that I come here alive with you guys in our daily huddle because that’s what I promise you. I promise you that I’m going to be here Monday to Friday regardless of what I’m going to be doing. I’m going to be coming on to actually answer five questions; it could be any questions that you may have that I’m going to answer in great detail. If you want your question to be featured simply right above on Facebook there’s a link and on YouTube right below on the video description, there’s a link where you actually can click on it or simply go to www.fredlam.com/ask and submit your question. Here’s another thing, I made a newbie mistake. Yes, Fred Lam always makes some really newbie mistake even though he is running a seven-figure business as you guys can see there’s a little box somewhere over here, I have no idea how I can remove that box and I’m actually using another camera of mine so the previous camera without that box I actually have that but I ran out of battery so, again, a newbie mistake. Two newbie mistakes, one I ran out of battery the other one this camera over here I don’t know how to remove the box so, I don’t know everything but I can share with you everything that I know that can actually help you with your business. Before I begin I want to make sure that you guys are excited about today’s daily huddle and most importantly excited about our daily huddle that we have every day. Again, this is a really odd time that I am actually coming on live, I usually come on live at around 6PM Pacific time, 9PM Eastern but again today is a public holiday and I actually finished dinner with my family and rushed back to the office just to set up my camera and everything but I still have this little box over here which I don’t know how to remove it. I’m just again showing you how dedicated I am and I want you guys to be dedicated or just as dedicated as I am towards your business. With that, today it’s going to be something exciting. We are going to be announcing our second winner for our kickstart 500 grand. Last week I actually announced a winner already who can actually get $500 straight from me to invest in your business. On top of that, I’m going to give you a checklist for those of you who qualify and actually are winners. 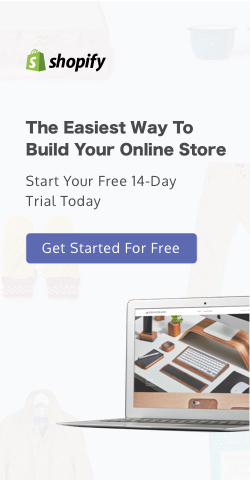 You are going to get a checklist and in that checklist there are four to five items, if you complete it in 30 days you get to come on to a one on one consultation call with me absolutely free and I’m going to actually work with you and share what you need to do to build, grow and scale any business that you wanted to create. So again, I’m going to announce that later on today. Without further ado, why don’t we dive right in into the five questions that have been sent to me through our forum which you can actually find a link above this video on Facebook and right below this if you are on YouTube right now. 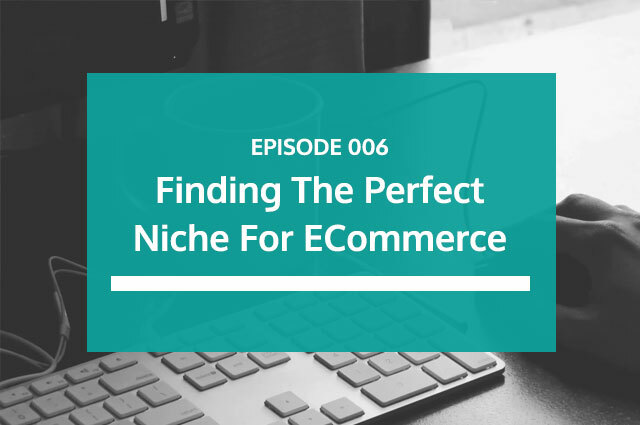 So with that, as you guys can see the topic today is basically finding the perfect niche for your business more specifically for your e-commerce business. Now, I know that a lot of are people basically saying you know what I just don’t know which niche is great, I don’t know what I should go after, I am passionate about something but I just don’t know how to move forward if that is the right niche. So, with that one of the persons that asked us today actually talked a lot about the niche selection and I’m going to dive right in later in these 5 questions that I’m going to be answering. Listen, guys, I guess I took a day off and I’m like slurring on my words so I apologize with that. [0:05:00] Question 1: My product sells for about $45 each (clothing) and they pay an additional $10 for shipping (static reminder on the top of each page). Is this a higher caliber product which warrants 7-day targeting or should I stick with 1 day? A really great question so for those of you who don’t get what Samuel is asking is that when you’re setting up your Facebook Ads you get to actually choose a 7-day conversion window or a 1-day conversion window. Now, the 7-day conversion window and 1-day conversion window really mean and stand for is that when you’re running Facebook Ads and you set your conversion window to be just one day then what’s going to happen is that Facebook will only report that data of your sale if the person actually click on your ad and simply made a decision and buys your product and triggers the purchase conversion within 24 hour period and that’s what the 1-day conversion really stands for. Now if you actually look at something this is again more advanced for those of you who have been running your Facebook Ads you can actually look at the breakdown column and customize the column and you can actually look at the conversion attribution. You can actually see that majority of your sales actually coming from 1-day or it actually need seven days in order for the person to actually make that decision. Now, with that, I always recommend going on 1-day conversion if you’re selling a product that it’s less that around $50. Now, if you’re selling more than $50 I would actually say that you need to set it to 7-day conversion window. Now, the only reason why I’m saying that is because at $50 and above chances are that these customers are not going to buy straight from your ad on day number one. So, you yourself have to actually look how often or how would my customer respond to an ad. Do they respond to an ad within 24 hours they buy a product or is it going to be 7 days or within those 7 days they’re going to buy the product? So, again with the 7-day windows like if I click on your ad on day one and three days later for somehow I went back to your website and actually buy the product guess what Facebook will then report back to sale because I put in a 7-day conversion window. So now with your question Samuel you’re asking that you basically selling the product for $45 and it is going to be $10 shipping so what I would suggest you do if you have never run a traffic to your products you want to run traffic for at least a week or two weeks just to find out the sales that you are acquiring of a Facebook is it going to be a one day or does it takes seven days to actually do that. [0:08:54] Question 2: Which ad platform is best to for e-Commerce? Is you can go with Google shopping if you want or you can basically go with Bing. These are the ones that I would suggest you go after right away. If you say what is the best platform? I do have to say, it is Facebook. Now the reason why I’m saying it is Facebook it is really because at the end of the day majority of the e-commerce stores the e-commerce businesses are basically now all on Facebook and Facebook is actually built for e-commerce with their advertising platform. You’re actually going to be seeing more and more e-commerce ads in your news feed because it is just proven to actually work. Again, I would have to say right now by far it is going to be Facebook and that’s why I spend so much time teaching, sharing and showing you guys about Facebook is because it is actually a very important traffic source in all forms of online business not just e-commerce. If you’re trying to run and agency business, a local business, a digital publishing business or even an affiliate marketing business, Facebook is no doubt something that you absolutely cannot basically move away from. It is something that you can simply use and easily build a 6 to 7 figure business all just with Facebook. Again, that’s my recommendation to you and it is much easier when it compares to Google and the other traffic sources out there. Alright, so I hope that helps you out Jeet. [0:10:54] Question 3: Need help to understand data I get from my ads. How to see if the data are good or what needs to be fixed to get better data, if it needs to cancel or continue. I need info about that. Very urgent. Thank you. You're doing a good job. 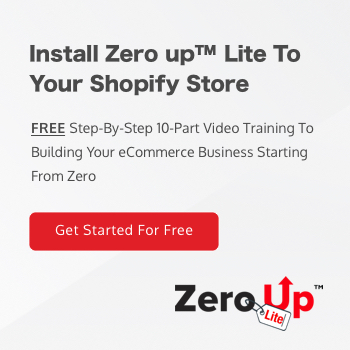 Jeremy, great question that you actually brought that up so I am not sure if you actually downloaded a free 10-part video training series that I have to the public where you simply just go through that training and we’ll walk you through step-by-step on how to create an E-commerce store, how to advertise on Facebook and what you need to analyze. Now, if you actually want to look for these data you would actually have to go to your Facebook account then simply head over to the breakdown at the middle of the page (I don’t know I can draw it out) you see you’re at your campaigns over here, your overview over here at the bottom at the middle there’s a link on your right-hand side well this side if it’s the right-hand side, you’ll see the word BREAKDOWN. We customized column, my apologies. Click on the word customized column and you get to actually customize what data points you want to look at for your Facebook ad performance. 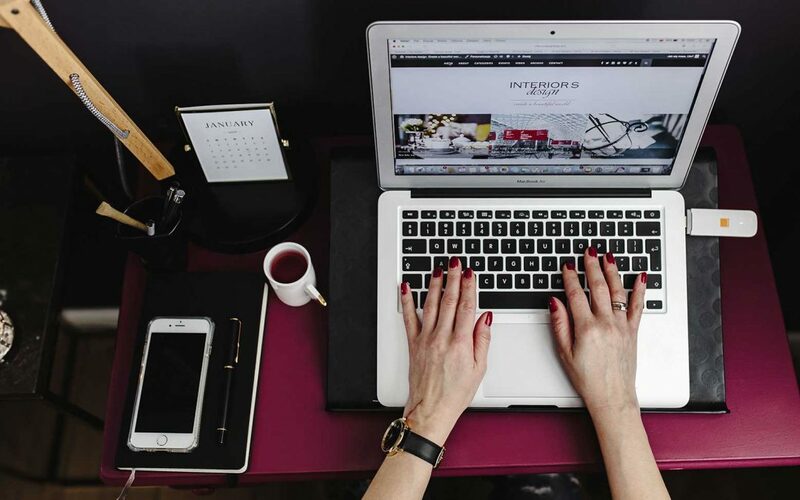 And the ones that you want to look at again, very important are the four; cost per purchase, cost per click link, click-through rate link and also the CPM. There is also secondary data that I actually look at; things like add to carts, that I actually have any add to carts, that I have any initiate check out. So, these are just going to be secondary information for me to actually see what is going on. Also, on a secondary data, I also look at the cost per click all and CTR all and I really want to look at the following and here’s why I also look at the secondary data for those of you who want to know. When it comes to click-through rate all and the CPC all I want to basically determine if my ad is a viral ad that people just like to share and comment about it or is it going to be an ad that’s actually going to get me a direct response. If you’re actually getting an ad with a very high cost per click link but if you’re actually looking at your secondary data and discovered that your cost per click all and your CTR all is actually about your cost per click all is very low and your CTR all (I hate it) is very high then what’s going to tell you is that the market is responding to your ad but they’re just not responding on going through your landing page to actually buy that product. Again, that means that you want to make some adjustment in your ad to be more direct to telling people to actually go ahead, click here and buy your product. So, these are the secondary data point that I actually look like. Now, on top of that I also look at the ADD TO CART and INITIATE CHECK OUT because at the end of the day let’s say that you’re getting good cost per click link so as you’re getting a cost per click link that’s less than $1, you’re getting a click-through rate link that’s above 1.5%, your CPM is hovering pretty awesome but at the end of the day you’re not getting a sale. Now, if you’re not getting a sale then there is some problem that is happening that you may not be aware of and if you’re getting actually a low cost per click link and a high click-through rate link then at the end of the day you’re still not getting a sale then that means that the customer went to your website and they either found the selling price that you’re selling a product on is too expensive so you actually want to lower that. On the other hand I would look at the ADD TO CART so if I have actually had a lot of people that added the product to cart but they just left, I did not get a sale from them. 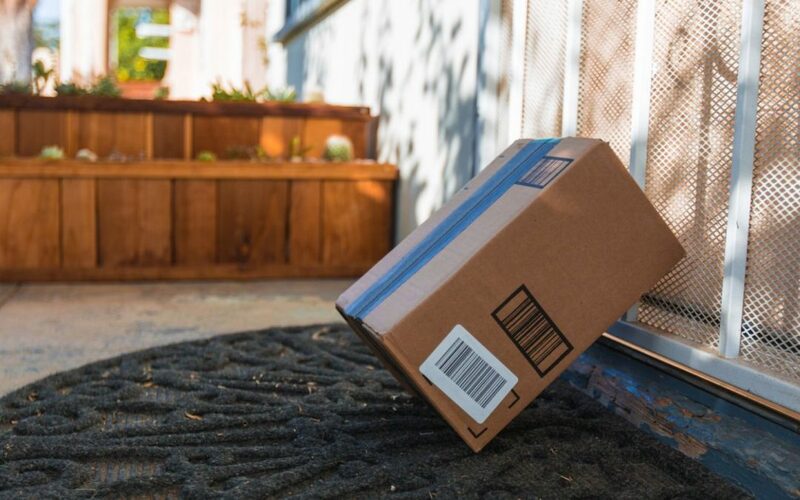 Chances are it’s going to tell you that the shipping is going to be too high. If you’re using the tripwire method that I showed and taught you guys how to use simply use the bait method. Sorry the bait method is actually available only in my member’s area, my apologies. There’s a method that I call the bait method and I sell it for a lower price and charges shipping to it to really differentiate the data to see what is going on so that I made a right decision on knowing if it is the product that is not selling or if it is the price that’s too high or it’s just a product that people just don’t really give a crap about. So these are the data point that I look at. And again, you actually want to look at all these in your Facebook ad reporting and go to customized column and specifically look for these data points so you know if your ad is performing, what is happening with your ad so you can make an informed decision if you should pause, continue or actually scale up your ads. [side talk 16:25-52]. Moving back put in a ME into the comment box or into the chat box on You Tube if you guys are enjoying this daily huddle right now. I just want to make sure. [0:17:37] Question 4: As a new seller with a new store and a new pixel, should I optimize the WC ad that I'm running for a product for purchases right away? Or should I first start with VC, then Add to Cart, then Purchases to enable my pixel to build data? Good question. I actually mentioned that I believe in our second daily huddle or second episode of our daily huddle. And I always go after purchase and the reason why go watch my daily huddle episode two on YouTube. You’ll find out why because I actually explained for like 15 minutes on why I always choose website conversion. But to answer your question in short website conversion, regardless if it’s a new pixel or if it’s a new store and if you want to know why, go to my YouTube channel, it is www.youtube.com/fredlam. Go to my YouTube channel and you will actually find the daily huddle episode two that talks in length about why I go after the website conversion right out the gate for purchases and I explained the entire analogy behind this so that you’ll understand why I chose it. It’s not something that I just made up or fairy godmother somewhere told me about it, it’s not. You would know the exact reason why that happens. Now to our last question which is one of the most important questions that everyone really asks. It’s Josie Roberto’s. Remember I actually asked—Josie Roberto is actually one of our Zero up members and I remember I answered her question inside our member’s only training but again, I would love to actually share this to the public because it’s a very important piece. It’s a piece that a lot of people “stuck on”. I don’t know why you guys are stuck on on this niche selection but I always see that people just don’t move forward because they just don’t know if they should be using this niche or not and they should change this or not. It’s kind of like going to college or university. You’re going in and trying to actually go to accounting and then when you fill up all your paperwork, you’re figuring out as accounting all of a sudden you change I want to be a biochemist or something. I don’t know, I guess it’s a struggle that a lot of modern people like you and I always have is making the right decision and thinking too much. I think as a human we think way too much. It is as simple as it is and a lot of people would just be very interesting, a lot of people find this very simple but they just to complicate things. There’s one thing that I learned and I still remember this, it was back in high school when I was still going to school. My art teacher taught us photography 101 and I still remember until this day. Before I go to the niche I’m going to share a story to you first. It’s called the kiss method and it stands for Keep It Simple Stupid. It is actually a photography 101 thing that people want to shoot photos at the most simplest form and those most simplest form always comes out to be a piece of art. As a human, we complicate things way too much, like absolutely way too much. Like niche selection, it is so easy just go with what you love to do because if you love to do something or if you love that niche chances are you will know how to sell that product. So again, whenever you are actually going “I don’t know if I should do this or that or that”, if you’re trying to complicate things in life, or in business, or in relationship just remind yourself the kiss method, keep it simple stupid. All right, very important stuff. The reason why I’m sharing this keep it simple stupid is really because you want to keep things simple is not that hard, is not that complicated. It is as easy as it sounds. When it’s coming to niche selection go with what you are passionate about because if you’re passionate about the products that you sell or the niche you’re in it is so much easier for you to actually sell the product. It’s not like a used car salesman that’s going to sell you a piece of junk. You don’t want that and you know those used car salesmen they need a lot of training and sales in order for them to actually sell the product. For you if you have no passion or no desire on a particular niche then guess what you’re going to have a struggle in selling the product because you don’t even know on the other side of the computer or the other side of your mobile screen who that person is, what do they like, what are they interested in, what is the latest news, what are the things that they buy, why would they buy it; you don’t know these stuff guess what, you’re not going to sell a piece of crap. You’re not going to sell a single thing and I’m just going to be honest, upfront and straight forward with you. That’s why I always tell people choose a market that you are actually passionate about. [0:23:10] Question 5: I'm confused about a niche to select. I've been a Practitioner for many years, but that's service based. I used to love and sew wedding dresses, and after listening to you mentioning to choose a niche, we can expand in rather than limiting. I know there's a market out there for brides, but usually, it's not recurring revenue. I've chosen to go with travel accessories after hearing your talk about expanding my niche, but I'm not sure I love it like you say we should. What do you suggest? Wedding. You already told me Josie that you are passionate about wedding. I think that you are basically in a position where you are not in your customer shoe you’re like well wedding is limited. I would have to tell you traveling is even limited at the same time. Yes, there are a lot of travelers in the market but at the end of the day, does traveler buy stuff? I would have to say not really. Like me I travel a lot and I hardly buy any travel accessories. I may have a passport holder. I may have a neck pillow that’s really about it or basically I spent money on luggage but that’s really it. Are they going to give you a recurring revenue model? No, because travelers are just going to buy one product and it will last for like many, many, many years unless if they lose it. Here’s the other part, wedding. You’re passionate about wedding and you so love wedding that’s going to be awesome because you know the wedding market very, very well and here’s something that you don’t know. On Facebook you can actually target your wedding store specifically to the bride. Here’s why because you can advertise based on relationship and you can go after women who are just recently got engaged. Guess what, those people, there are going to be a lot of people who get engaged, everyday. That means that everyday there are a lot of people that basically need to host a wedding and if wedding is not a big market then all these hotels can actually close their shops, banquet halls and they’re going to be out of business, right? Everyday there are a lot of people who simply just get married. And the beauty is that, on Facebook you get to advertise to people who just recently got engaged. You know what, when you know that they recently got engaged they are in the mindset of buying anything related to wedding. Yes, it may not be a recurring revenue model but at the end of the day if people are buying products from you, they love your service, they love what you talk about, and they can see that you are passionate about wedding. Guess what, they’re going to refer to their friends who are about to get married or a couple of years later their other friends are getting married too. They will refer business to you and that’s the thing that you want to create because you know right away, you’re trying to complicate things again. You basically took my training and you start to think there’s so much other stuff that you can start figuring out that oh this is going to work, is the market big enough, is this market limited? You start to think too much. Again, keep it simple stupid, the kiss method. Go with the wedding. [side talk 28:30-46] Go with wedding because that’s what you’re passionate about. Josie, I can promise you and I know for a fact that if you love the wedding market you will do a hell of a job in the wedding market and people on the other side can feel it because they know that you’re great about wedding and consumers are smart, they’re not dumb and I would have to be honest about that. So again, that’s what I would go after, go with the wedding market. For those of you who are listening and struggling to figure out what your niches, seriously go think what you will love to spend time on. Like if it was me, there’s another niche that I absolutely love to do or I would have to say there’s another business that I absolutely will love to do. How many of you want to hear that? Put in a 1. If Fred Lam is not doing this daily huddle or Fred Lam teaching or inspiring people how to actually create a business online or running e-commerce guess what Fred Lam would do. Put a 1 if you want to know. [side talk 29:47-30:20] For me, something that I’m super passionate about that I love to actually do; it’s actually a childhood thing, I love video games. I just absolutely love video games. If I were to actually say Fred if you want to create another business, what would you do? I would have to say I want to become like a YouTuber and just play video games. That’s all I’m going to do like you can see people [inaudible 30:46], people play Call on Duty, people playing League of Legends all those they call now as an E-sport I would love to actually get into E-sport. That’s what I would do and I would just sit in the computer everyday just basically put ads on my videos, go record, me mark the game play and everything that’s what I would do and then basically design some t-shirts to actually sell along with it and create maybe an insider club for how to play better at certain games, I would love to do that. You guys may find it funny but guess what people make tons of money doing just YouTube video playing video games. You’ll be like blown away about that. Anyway that’s what I’m just saying, sharing something that I’m truly passionate about that I would love to do. Maybe one day you may see me becoming a gamer YouTuber if I decided to actually do that one. I think I can do a good job. With that, that’s enough with those little small talks. Right now, we’re going to go and have something fun. We’re going to announce our next winner of our kick start 500 grand. Put in the word 500 right into the comment box on Facebook and right in the live chat put in 500 right now while I actually search for the winner, I have it on my mobile device. I’m getting a lot of people saying 500 right now, excellent, excellent, excellent. Anyway, I’m getting a lot of people saying 500 right now. So are you guys ready? We’re going to have some drum roll. This week’s kick start 500 grand winner goes to Carol Puchailo. So, here’s her story. I’m not going to mention her URL she actually gave me her website address but I don’t want to share it out because it’s privacy problem. Here’s what it say. XYZ.com is my business and my passion as I am a nurse practitioner with a dream to educate, offer non-pharmaceutical solutions as well as provide mothers with the latest research and products that improve their sleep. My reason for starting this business is so that mothers can take excellent care of themselves and their families better. I have been passionate about this topic ever since I had a sleep disturbance that affected me in my late 20s and I became focused on solutions for a good night’s rest. I believe that this business is more than necessary. It is vital to our current generations to radically change how women protect their nightly bedtime routine. The mission and purpose of XYZ.com is to be a world leader in women’s health in area of sleep restoration and solutions that truly improved the quality of their lives. Thank you for this opportunity Fred and the Zero Up team. I do have to say this is such an inspiring story because I know back then when my mom was taking care of me and my two brothers, she did not even have sleep and she hardly was able to go to sleep and sleep was a very, very big thing for her and it was a problem for her. I would believe that sleep is also very, very, very detriment thing for mothers too. I’m very proud of you Carol for actually stepping out as a nurse practitioner to help really change the world and change especially helping women the mothers especially. Mothers are the strongest and the person that I firmly believe who is dedicated than an entrepreneur. You have to really find out like moms really give up a lot just for their kids, their sons so you guys should be grateful if your mothers are still around with you I would have to say pick up the phone, call her and thank her and tell her how grateful you are about. I have to say like moms are always the best. Anyways, congratulations Carol, your story really inspired me and you actually wrote out a lot of information. You did a lot of details and I absolutely love it. Now, here’s now thing. Carol, I look at your action plan and I will get my assistant to email you about this. I suggest a different action plan for you and not go of what you proposed to me and there’s a reason why and I’ll share that with you through email and I’ll get my assistant to email you the information and you should be getting your $500 hopefully by tomorrow. You can use that $500 and I’ll give you a check list of what you need to do. If you have accomplished those check list I’ll get on to a one on one free consultation call with you and to share with you what I would do to help these mothers to bring your message out to the world. So that’s it really for today’s daily huddle and our announcement of our kick start 500 grand. Only one per person can apply. If you want to see if you can qualify for our kick start 500 grand go to www.fredlam.com/500 and if you want your question to be featured in our daily huddle make sure you go to www.fredlam.com/ask fill up that form and I will get your questions answered in our daily huddle. Other than that, that’s really it for today. I really want to see if you guys actually love today’s session, on Facebook give me the love symbol and if you are on YouTube make sure you hit the thumbs up so I can actually see if you guys absolutely love our daily huddle and again like I said I rushed back to the office just for you guys, just to be here to simply share with you guys and be here and as I promise, I’m going to be here every single day Monday to Friday just to answer five questions, stay connected with you guys, share with you some knowledge that I have and to basically help you with your online business. I look forward on seeing you tomorrow make sure you like my Facebook page, subscribe to my YouTube channel. YouTube gets instant notification so subscribe to my YouTube channel to actually get the instant alert on when I’m going to come on live with our daily huddle. Every day the time is going to be a little bit different only because I need to actually have my schedule work it up but I promise regardless of how late it is I will be coming on live Monday to Friday for our daily huddle. It is morning for you guys in Australia or in UK or wherever or on the other side of the world, keep hassling, keep going and for those of you who are in North America I hope you should get some pretty night sleep, wake up early tomorrow and keep hassling. I’ll see you guys tomorrow.